They’re so strong they’ll knock your esox off. 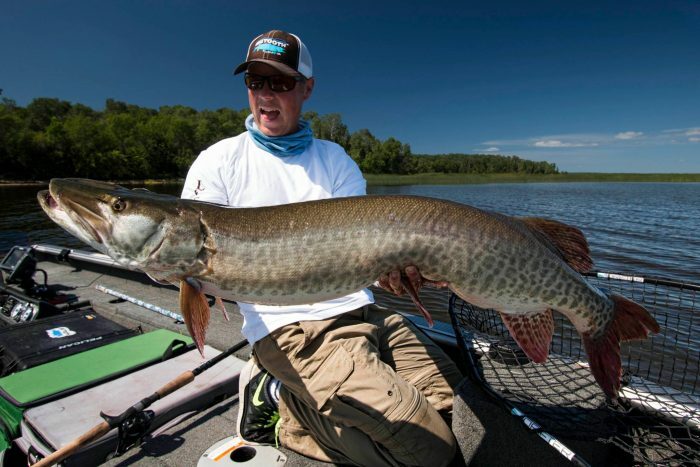 The musky (also called esox) are the top of the food chain on Lake of the Woods. Our bay itself is one of the best bays in the area for big muskies. Every year a guest catches a fifty inch (or bigger) fish within sight of the camp. Last year’s big fish was boated just to the north of the camp, and measured 54 inches. Bring some heavy duty equipment if this is what you’re targeting. However, even if you don’t, you never know when these beasts from the deep will appear on the end of your line!